With 13 days remaining until the International Classic, the countdown continues with No. 13, Nolan Swift’s most improbable International Classic win, coming in 1968. The 1968 season was a most humbling experience for 1967 track champion, Swift. 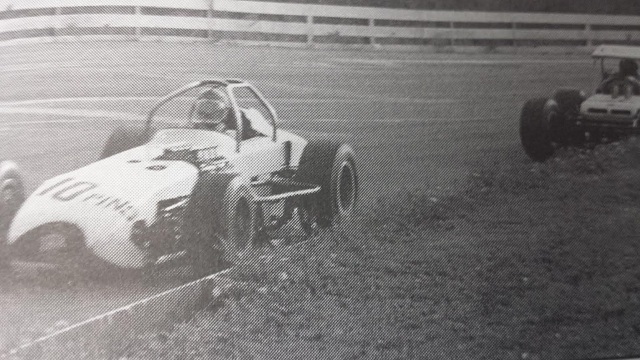 After selling his seven-year old Modified/converted to Supermodified, Swift and his partner Bill Wright unveiled a rear engine car, which proved to be a failure. The duo scrapped the car and in six weeks built a front engine roadster, which turned out to be somewhat lack luster also. In time trials for the ’68 Classic, Swift timed in as the second slowest competitor of the some 60 cars entered. Faced with the possibility that he may not even qualify for the Classic, Swift and Wright went back to their Syracuse based shop and performed a minor miracle. Swift managed to qualify for the Classic by finishing an unimpressive sixth in the consi, starting 35th in the lineup. The breaks started to go Swift’s way right from the start as favorite Todd Gibson was taken out early on and ’66 winner Johnny Benson ran into mechanical problems. Swift set a manageable pace, but still kept his eye on the big prize by forcing himself to pass a car every lap or two, after about lap 60. Before anyone knew it, Swift was knocking on the door of the top five. Howard Purdy’s Deuce, for the second spot around lap 160. Then, on lap 169, leader Red Barnhart began to run out of fuel and had to make a pit stop, handing the lead of the 200 over to Swift. Warren tried relentlessly to get the lead back from Swift in the late stages, but he had virtually no tires left to make a move. And so it was that Nolan Swift went from being nearly the slowest car in the Classic entry field on Saturday, to Classic victory lane on Sunday with his fourth Classic victory. Warren held on for the Classic runner-up ahead of Johnny Logan, Jack Murphy, and Nolan Johncock in the top five. Barnhart recovered for sixth with Paul Baumhauer, Mark Letcher, Nick Rowe, and Warren Coniam in the top ten. About Oswego Speedway: Oswego Speedway, a sports entertainment company, is a 5/8 mile semi-banked pavement racing oval located off the shores of Lake Ontario in scenic Oswego, NY. 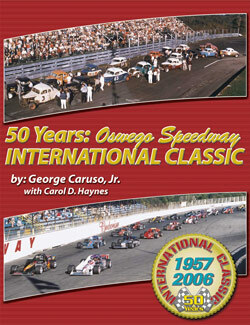 Oswego Speedway has been a continuously run weekly racing venue since August, 1951. 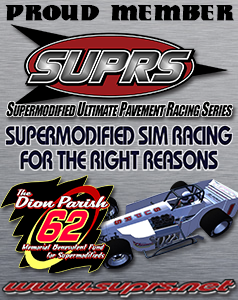 The premier open-wheel pavement short track cars in the world, Supermodifieds, run weekly at Oswego Speedway making Oswego the only weekly Supermodified racing venue in the world. The Small Block Supermodifieds accompany the full-blown Supers on a weekly Saturday night schedule which runs from May through September. Oswego Speedway is mentioned in racing circles as the “Indy of the East,” as no fewer than a dozen past and present competitors have competed at the famed Indianapolis Motor Speedway including Mario Andretti, arguably the greatest driver of all time, two-time Indy 500 champion Gordon Johncock, along with former International Classic Champions Bentley Warren, Joe Gosek, and Davey Hamilton.